Replacement CND UV Lamp Bulb 9W UV603-9W - Gel-Nails.com, We Have Everything You Need for Gel Nails. 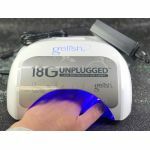 UV Gel, Nail Brushes, UV Gel Lamps and More! This is a long-lasting replacement bulb for your UV lamp. Genuine, original CND UV Bulbs9W for CND UV Lamp. 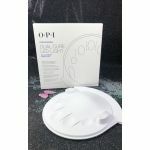 Designed for use exclusively with CND UV Lamp.